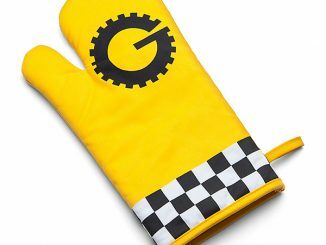 With so many cool oven mitts to select from, why not get one to go with the current season? 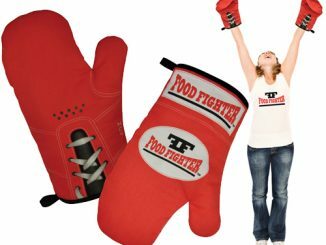 I mean, that’s not exactly something you can do with the Food Fighter Boxing Glove Oven Mitts, Pixel Oven Mitts, or Bandage Oven Gloves now can you? 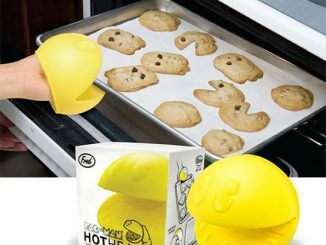 Christmas is still a little farther down the road, but that doesn’t mean you can have Santa’s Glove Oven Mitt hanging in your kitchen to prepare for the coming holiday season. 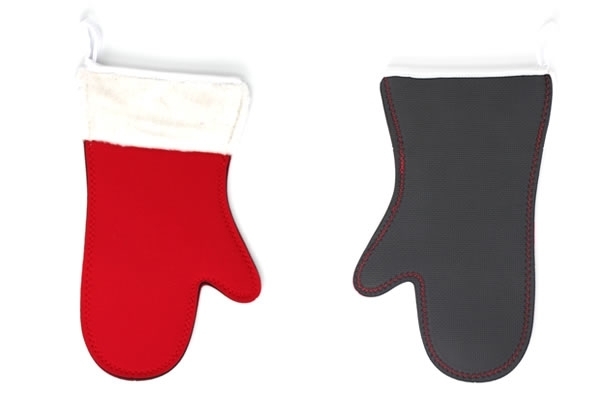 Santa’s Glove Oven Mitt looks like Christmas stockings, although they are shorter and definitely a whole lot thicker. 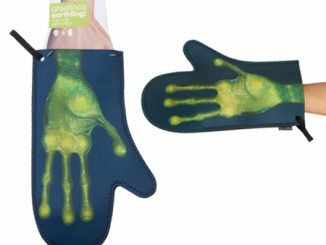 They’re perfect for taking that pot roast out of the oven to serve to your guests in a truly festive fashion. 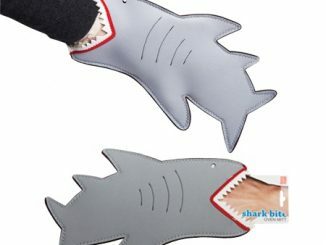 That’s what you’ll be saying to anyone cooking with this festive Oven Mitt. 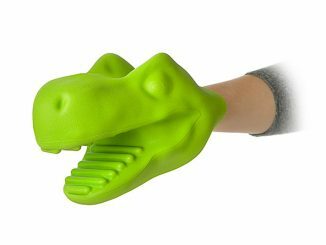 There’s no real comparison to its utter coolness. 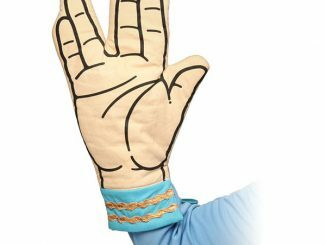 It has a soft red backside with white fake fur trim, It just looks so much like the real Santa’s Glove that you’ll be making lists and checking them twice in between baking a rum cake and basting the turkey. 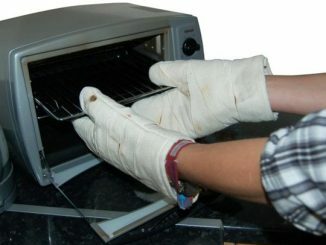 In any case, its always good to be safe in the kitchen and this Mitt does just that. 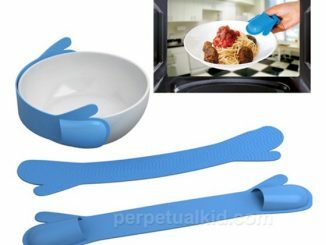 You’ll never injure your hands or make a disappointing dinner again. 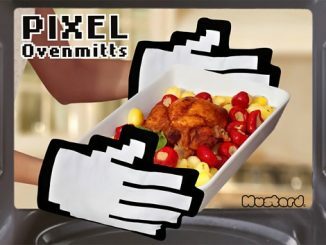 Guests will be so fascinated by your Glove that they wont even notice they’re eating tin foil. 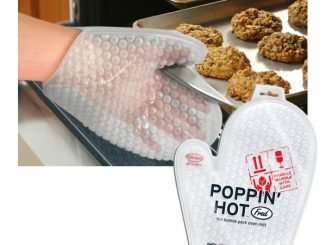 The Santa’s Glove Oven Mitt is available for purchase from Stupid.com for $14.99.